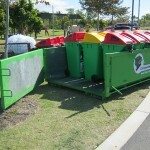 Pulling off an event that becomes the “talk of the town” in Townsville comes down to a little forward planning and a lot of consideration about event waste management. We guarantee guests won’t enjoy tripping over trash! So what are some hot tips to ensure successful disposal of waste at your next event? 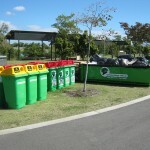 Planning your event in consultation with an event waste management expert means all your bases will be covered. Experience running events comes with years of practise so bring in the professionals like Grinners Skips to take your stress away. Grinners Skips are the experts in Townsville when it comes to skip and wheelie bin hire and we’ll work with you to create an event waste management plan for your big day. Hiring experts on the ground is a fantastic way to make sure there’s enough skip bins and wheelie bins on the day. From experience we know every event is different and that’s why we’re here to help. Our skip bins have waste wise lids and we can also provide cardboard recycling skip bins. Grinners Skips can supply event staff to empty bins during your event, meaning guests can focus on the fun and won’t need to worry about tripping over trash! The upside is you’ll create a memorable event and you can kick back knowing your event waste management is in good hands. Less stress = more fun! Cleaning up after your event is critical, especially for hygiene reasons. Obviously, the sooner the better! Grinners Skips specialise in post event waste removal and we also offer recycling services. 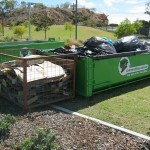 Using the best skip bin hire company in Townsville will put your mind at ease and leave you looking forward to your next event.